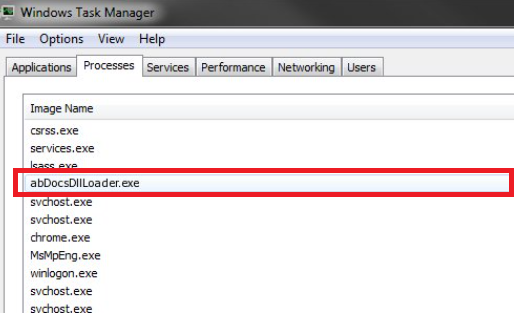 Have you detected a file or a process named Abdocsdllloader on your computer? If “yes” is the answer to this question, you should know that it is unlikely that a malicious application is active on your computer because this process belongs to the program called abDocs which has been published by Acer Incorporated. In this case, you do not need to delete Abdocsdllloader from your computer. Although it is usually safe to keep this application installed on the computer, you should implement the Abdocsdllloader removal as soon as possible if you are not using the Acer computer and you cannot remember downloading an application called abDocs on your computer. It should not be impossible to delete it. You will find more if you read this article till its very end. As you should know by now, Abdocsdllloader is a process which helps the application abDocs work properly. This program is quite useful. It should make it possible to access recent Word, PowerPoint, and Excel files, so it does not mean that you must delete Abdocsdllloader from your PC, i.e. get rid of the program whose component it is. You can keep it if you want to; however, you should better implement the Abdocsdllloader removal if you suspect that it does not belong to this useful program. Malicious applications can sometimes borrow the names of legitimate programs to enter computers easier and stay on them longer performing their malicious activities, so if you cannot remember downloading abDocs and you are not using an Acer computer (this program comes pre-installed on Acer computers), you should uninstall Abdocsdllloader for the sake of your computer’s safety. It is a bad idea to keep it especially if it is not located in C:\Program Files\acer\acercloud docs because the decent program using this process is installed only in this folder. Why do I see Abdocsdllloader on my computer? As has already been told in the previous paragraph, the presence of Abdocsdllloader on the computer indicates that an application abDocs is installed on the computer. It comes pre-installed on Acer computers. If it happens that the name of the legitimate process has been borrowed by malicious software and it is already actively working on your PC, there is no doubt that it has illegally entered your computer. Malicious applications can travel bundled, might be promoted on suspicious websites, or they might be downloaded by existing malware. If you suspect that it is the case, remove Abdocsdllloader as soon as possible. The last paragraph will tell you more about the removal procedure. How do I remove Abdocsdllloader? The legitimate application using the Abdocsdllloader process can be deleted easily via Control Panel; however, if it is the malicious application pretending to be a useful program you have encountered, the easiest way to get rid of it will be to scan the system fully with a legitimate anti-malware/anti-spyware tool. There are so many tools out there on the market, but it does mean that all of them are trustworthy, so do not use the first one you find on the web.